Born in Kyoto, Yamaguchi Saya graduated with a Master's Degree in Fine Arts, Ceramic at Kyoto Seika University, Japan in 2003. Over the past 17years, she has exhibited in many parts of the world including her 20 solo exhibitions in Kyoto, Tokyo, Osaka and Singapore. 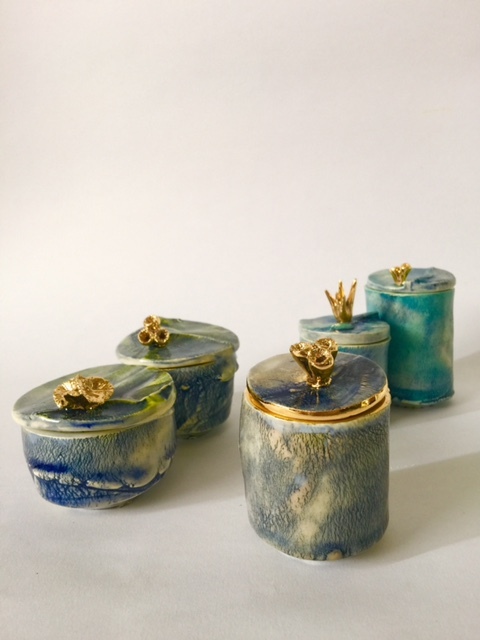 She is currently living in Singapore and teaching Ceramic at Studio Miu Art. Yamaguchi's ceramic works have been most sought after in Singapore and Japan. Her works are in public and private collections internationally.